'Black Panther', 'If Beale Street Could Talk', and ' BlackKkKlansman' are all up for Best Picture. The nominations for the 2019 Golden Globes are out and there are tons of Black films and actors up for major awards this year. #BlackExcellence is all over the coveted category of Best Motion Picture – Drama with Black Panther, If Beale Street Could Talk, and BlacKkKlansman vying for the honor. They’re up against two music-heavy movies, A Star Is Born and Bohemian Rhapsody. 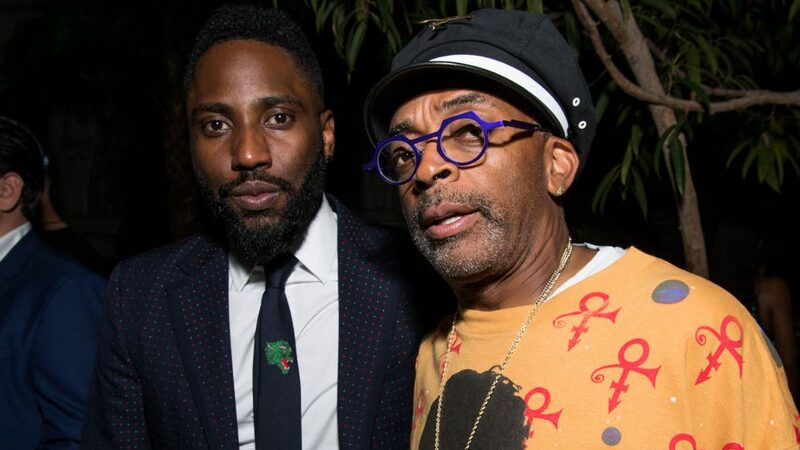 BlacKkKlansman nabbed several nominations including one for Best Actor in a Motion Picture for its star, John David Washington and a Best Director nomination for Spike Lee. If Beale Street Could Talk is up for Best Screenplay as Regina King earned a nomination for Best Supporting Actress for her role in the breath-taking film based on the book by James Baldwin. Green Book is up for Best Motion Picture – Musical or Comedy and Mahershala Ali nabbed a nomination for Best Actor in a Supporting Role in any Motion Picture for his portrayal of Dr. Don Shirley in the flick. “All The Stars” (Kendrick Lamar and SZA‘s hit from Black Panther) is nominated for Best Original Song. There’s even some color in the animated category with the upcoming Spider-Man: Into the Spider-Verse earning a nod for Best Motion Picture- Animated. Black actors got Golden Globes love on the television side as well. Thandie Newton is nominated for Best Performance by an Actress in a Supporting Role in a Series, Limited Series or Motion Picture Made for Television for her stint on HBO’s Westworld and Regina King nabbed an additional nomination for Best Performance by an Actress in a Limited Series or Motion Picture Made for Television for her stirring performance in Netflix’s Seven Seconds. Donald Glover scored a nod for Best Performance by an Actor in a Television Series – Musical or Comedy for his starring spot on Atlanta. Meanwhile, POSE got a well-deserved nod for Best Television Series-Drama and its star, Billy Porter is up for Best Performance by an Actor in a Television Series – Drama. The 2019 Golden Globes will air live on January 6 on NBC.